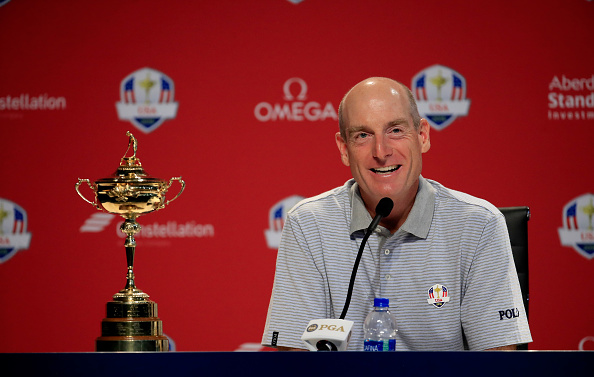 Ryder Cup Confidential: Who Should Captain Furyk Pick? 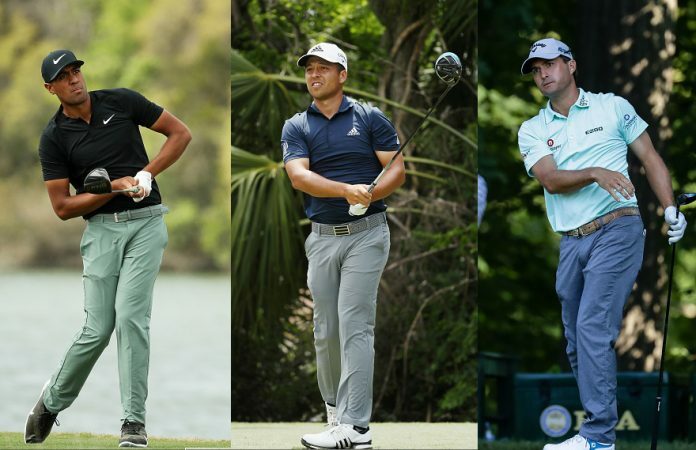 Tony Finau, Xander Schauffele, and Kevin Kisner are three of the rumored players Jim Furyk is considering for the final four spots. At the conclusion of the last week’s PGA Championship, the eight American players who accumulated the most Ryder Cup points over the last two years became locked into the 2018 team. American captain Jim Furyk should be content and then some with that final top 8, which features a striking mix of skill, accomplishment, and experience. Now, Furyk gets to undertake the painstaking chore of deciding who gets the much-coveted last four spots on the team. The Americans took the Ryder Cup in 2016, after the trophy spent 8 years in European possession, and will have their work cut out for them in a title defense that is taking place on opponent soil. Furyk cannot afford to get these picks wrong. Fortunately for Furyk, the picks do not need to be made today. Three of the four aptly named “captain’s picks” are due after the second round of the upcoming FedExCup Playoffs, with the last selection due one week later. A hot playoff run could change the shape and dynamic of the American team, but as of now, it appears that Furyk will have some difficult decisions to make. Case For: Every potential Captain’s pick has been subjected to the same scoring system, and DeChambeau has outscored all of them. His growth over the two years has been incredible; after 16 missed cuts and 2 withdraws in 2017, he has just two of both in 2017. 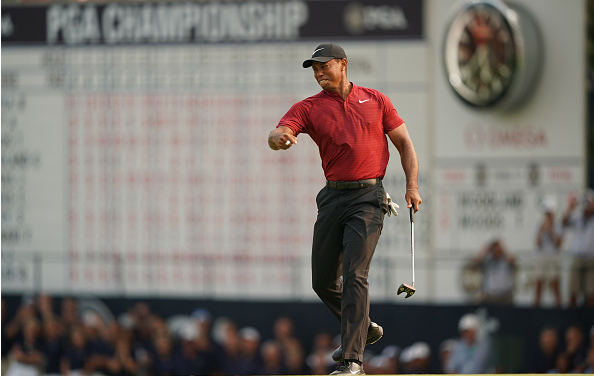 He has not contended in a major, but some of his best performances this season have been in events with strong fields, particularly his victory at The Memorial and runner-up to Rory McIlroy’s throwback performance at the Arnold Palmer Invitational. He has seven top 10s on the year and ranks highly on every strokes gained category. He is a young, passionate player who has the potential to become the same kind of team play spark plug as Patrick Reed. Case Against: At 24 years old, he has no team play experience, and missing the last two WGC-Match Plays, his potential in this format is difficult to project. Team cohesion is critical at the Ryder Cup, and DeChambeau is seen as something of a lone wolf. The question then becomes, who do you pair him with? Maybe Reed, who we mentioned earlier, but Furyk would deserve to lose his captainship on the spot if he broke up the Reed-Spieth superpairing. DeChambeau played poorly at the last two majors, and a recent high-profile back nine Sunday meltdown at the Porsche European Open have led to questions about sportsmanship. Can he be trusted to behave like a Ryder Cupper? Case For: Experience, experience, experience. Mickelson has competed at the past 11(!) Ryder Cups, which ranks first all-time among Americans. Despite being 48, he is still a first-class golfer, ranking 22nd in the OWGR and 10th in a FedExCup season that included a victory at the WGC-Mexico Championship. He ranks 6th on Tour in birdie average and 22nd in scoring average. He was 2-1-1 at the last Ryder Cup and birdied 10 holes in a Sunday singles match against Sergio Garcia. He also starred for the Americans at last year’s Presidents Cup, compiling a 3-0-1 record with 3.5 points. Mickelson is also great for the team aspect, as he is very well respected among his peers, and universally loved by the fans. His match play results have improved tremendously with age. Case Against: Mickelson was tremendous early in the season, but has faded badly since May, and has finished outside the top 20 in his last five events, including a T48 at a controversial U.S. Open and a missed cut at the PGA Championship. His scoring average has plummeted in that time. Can he turn it back on? Assuming Tiger Woods makes the team, it could be argued that Mickelson would be a better fit for that suddenly-vacant vice captain spot than he would for a playing spot, especially with his recent form. Case For: Despite missing 50% of the Ryder Cup point-accumulating period, Tiger still finished 11th in the final standings. Had he not been recovering from back surgery during all of 2017, he almost definitely would have made the team automatically. He is a veteran of seven Ryder Cups, compiling a 4-1-2 record in singles, losing only to Constantino Rocca as a 21-year-old Ryder Cup rookie in 1997. Tiger’s career resume ranks among the best of any athlete in any sport, and even at 42 years old, he brings an enormous intimidation factor. He is also in magnificent form, with top 6 finishes in three of his last four starts, with the most recent being a runner-up finish at the PGA Championship. 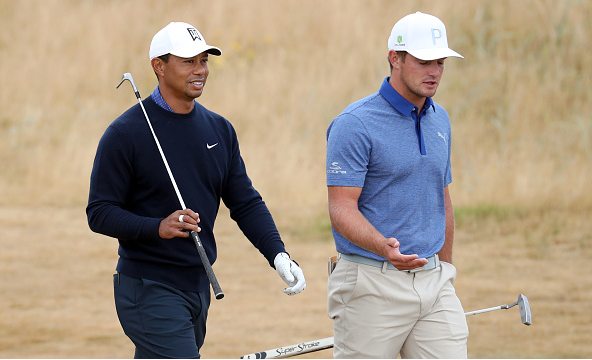 Case Against: Barring a personal scandal coming to light over the next three weeks that blows his prior ones away, it would be shocking if Tiger is not named to the Ryder Cup team, but there are a few checks in his “cons” column. Tiger has not won on Tour since 2013, and while he has 14 career major championships, none of them have come in the last 10 years. Can someone who is so far removed from winning figure it out again in a high-pressure environment? He is a phenomenal match-play player as a single, but has an unimpressive record as part of a match-play team with a career record of 29-32-2 between Ryder and Presidents Cups. In his last Ryder Cup appearance (2012), he lost all three of his team matches, and it could be a challenge for Furyk to find the best fit for him. Case For: Schauffele is undeniably a big-game player who shows up for big-time events. This was best illustrated with his impressive victory at last year’s Tour Championship, where he was able to outduel Justin Thomas down the stretch. He also had a T5 at last year’s U.S. Open, and in the current season, he posted a T6 at the U.S. Open, and runner-up finishes at THE PLAYERS Championship and the Open Championship. He is also a very likeable guy who should mesh well his teammates. With his lack of experience, some projection needs to be done when determining Xander’s Ryder Cup chances, but with his penchant for the big stage, it seems very unlikely that he would not be an asset for the American side. Case Against: Experience is the big knock against the 24-year-old, who would be making his team play debut. Aside from his performances in the majors and THE PLAYERS, he has been surprisingly awful since April, with no top 20s in 11 events, and since contending at Carnoustie three weeks ago, he has a 68th place finish at the 73-man WGC-Bridgestone Invitational, and a T35 at the PGA Championship. Case For: If experience is important to Jim Furyk, the four-time Ryder Cupper Kuchar could be an attractive option. He used to have a poor record in team matches, but was 2-1-0 in the 2016 Ryder Cup and 2-0-0 at last year’s Presidents Cup. He has been phenomenal at the WGC-Match Play, reaching at least the round of 16 in six of nine attempts, including a victory in 2013. A player who seems to be loved by everyone, Kuchar would be excellent for team chemistry, which can not be underrated at the Ryder Cup. Case Against: Kuchar has been abysmal in his career in singles matches outside of the WGC-Match Play, with a 1-3-0 record in the Ryder Cup and a 0-4-0 record in the Presidents Cup. His last Sunday singles match at the most recent Ryder Cup was a loss to a reeling Martin Kaymer, where he squandered a considerable lead. 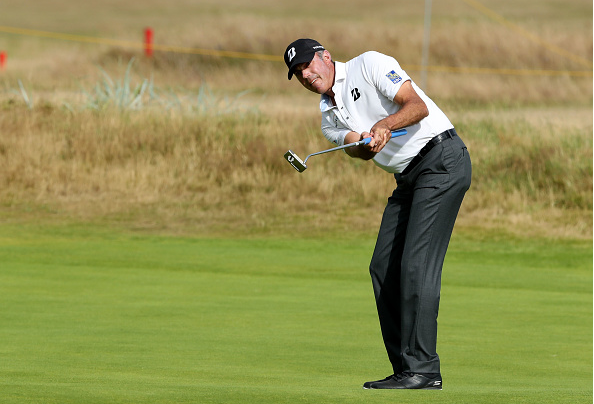 Kuchar has not won on Tour since 2014 and has never won a major. He has a reputation as a steady guy and a top-10 machine, but in an unimpressive 2018 season, he has just four top-10s and no finishes of better than T8 since early February. He remains majorless for his career after failing to contend in any of the four majors this season. 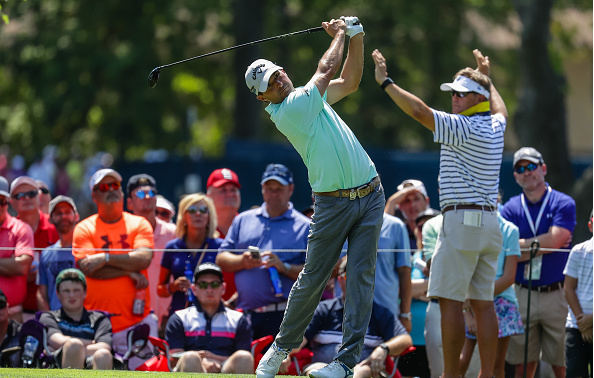 Case For: Kisner has had a nose for the bigger events in the past two years, holding a 54-hole lead at both the 2017 PGA Championship (solo lead) and the 2018 Open Championship (co-lead). He finished T7 in the former and T2 in the latter, in addition to a runner-up finish at this year’s WGC-Match Play. He was also in second place after 36 holes at last week’s PGA Championship, finishing T12. He has quality experience in team events, going 2-0-1 in three team matches in last year’s Presidents Cup. 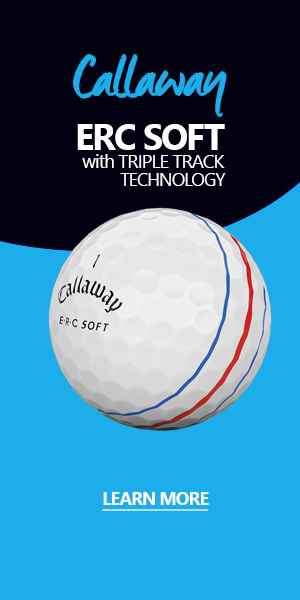 He is also one of the premiere putters on Tour, which is an enormous benefit at the Ryder Cup. Case Against: Can Kisner close? 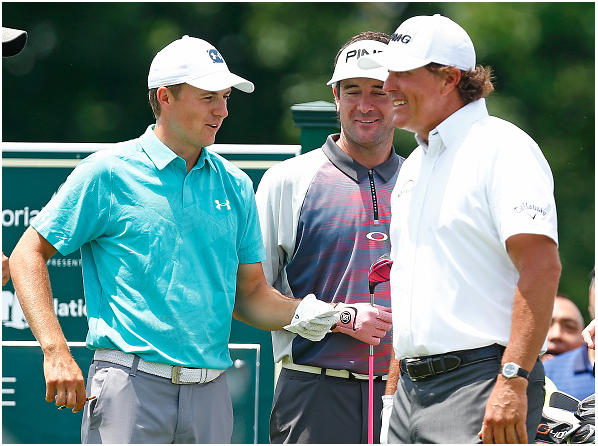 He could not close the door on either of his recent 54-hole co-leads in majors. Despite the runner-up at the 2018 WGC-Match Play, Kisner was absolutely obliterated by Bubba Watson in the Championship Match. 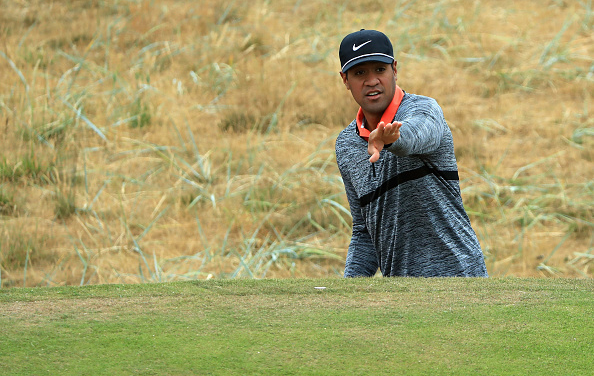 He scored 3 points for his team at last year’s Ryder Cup, but again showed problems closing when he lost the final two holes in his Sunday singles match to Anirban Lahiri, leading to a halve. Kisner has never played in a Ryder Cup, and has just the one Presidents Cup. Case For: Finau was the only player on Tour to finish in the top 10 in each of the year’s first three majors, but what he did in the fourth might have been even more impressive. After a terrible first round 4-over 74, Finau birdied his first five holes in round 2 to get back under par for the week. He carded birdies on 8 of his first 11 holes, and his 10 birdies for the day tied a tournament record. In the end, it was a T42, which does not stand out on paper, but the circuitous route he took to get there was special. That 10-birdie round should have really captured Furyk’s attention, particularly since they were playing in the same group that day. Finau has a reputation as one of the longest hitters on Tour, but he brings finesse with the power as well, showcasing a stellar iron game and a capable putting stroke. Finau has 15 finishes inside the top 25 in his 24 starts this year, and he ranks 12th in scoring average. Case Against: For all his high finishes, Finau only has one career victory, which was an opposite-field event in Puerto Rico that took place outside the current two-year Ryder Cup point accumulation window. He has never made a Ryder or Presidents Cup team, and with only one appearance in the WGC-Match Play (he went 2-1, but failed to make the round of 16), there is not a lot of evidence of how well he can handle the format. With this year’s edition of the Ryder Cup taking place in Europe, Finau might be too much of a gamble to take on such little experience. Why: Tiger is an easy pick for us, and unless he completely falls on his face in the FedExCup playoffs, we would also select Phil without hesitation. The tougher decisions come next. 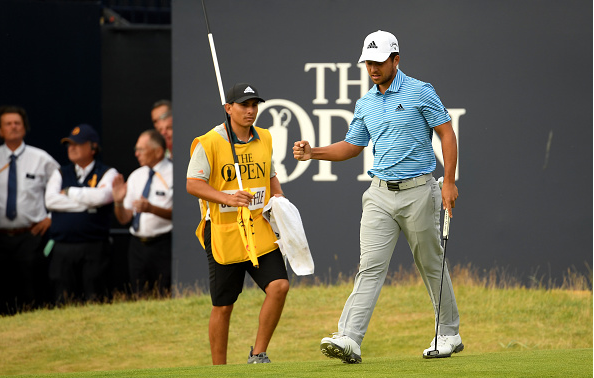 We like Schauffele due to his prodigious competitive streak and his affinity for big-stage events. Finau gets a slight nod for the last spot over DeChambeau (for now) on the strength of better recent form and more experience contending in elite events. We believe the team has enough quality experience where they can afford to pass on Kuchar, who frankly, has not played well lately anyway. Why: Having intensely competed with them for more than 20 years, we believe Furyk has too much respect for Tiger and Phil to leave either off the team. Not selecting DeChambeau, the player outside the top 8 with the most points, is atypical in recent history (No. 9 Bubba Watson was passed over in 2016, but his recent form had been much worse than DeChambeau’s), and we do not see Furyk as the type to break much from precedent. We think that with DeChambeau in the fold, Furyk will value Kisner’s experience over the skill Schauffele and/or Finau would bring to Paris. Kisner makes the cut ahead of Kuchar due to superior play in recent majors.